A large and very beautiful Victorian WhitbyJet cross, well proportioned and suspended from a matching jet bail. Carved in the Gothic Revival style, the cross arms are faceted giving lovely soft light reflection. 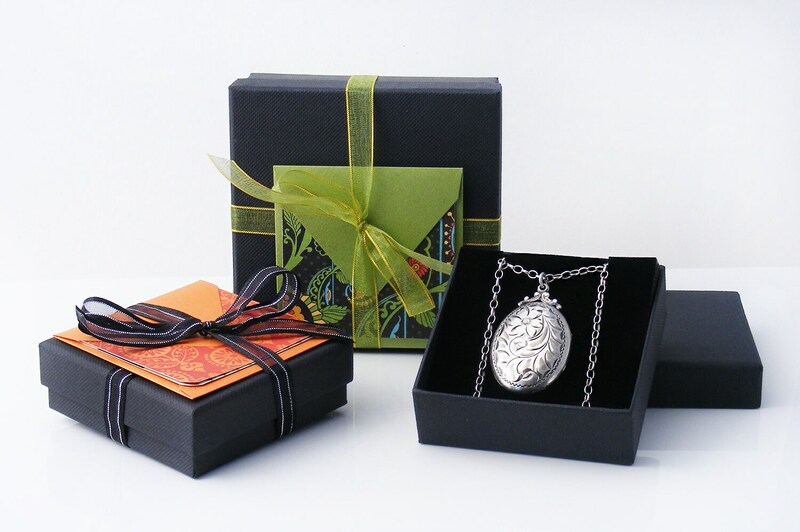 A stunning antique pendant that would also suit being displayed on a bedside wall. 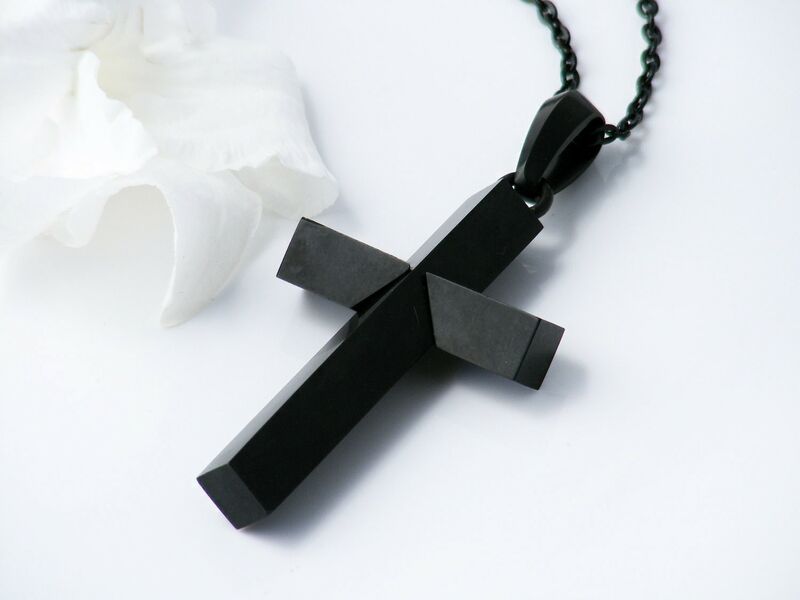 Whitby Jet is a black organic gemstone once mined in the English town of Whitby. It is very surprising to hold as it is extra light, weighing half of what an agate piece of the same size would weigh; no wonder it was prized for the large mourning necklaces popular in the Victorian era. Condition: Excellent. 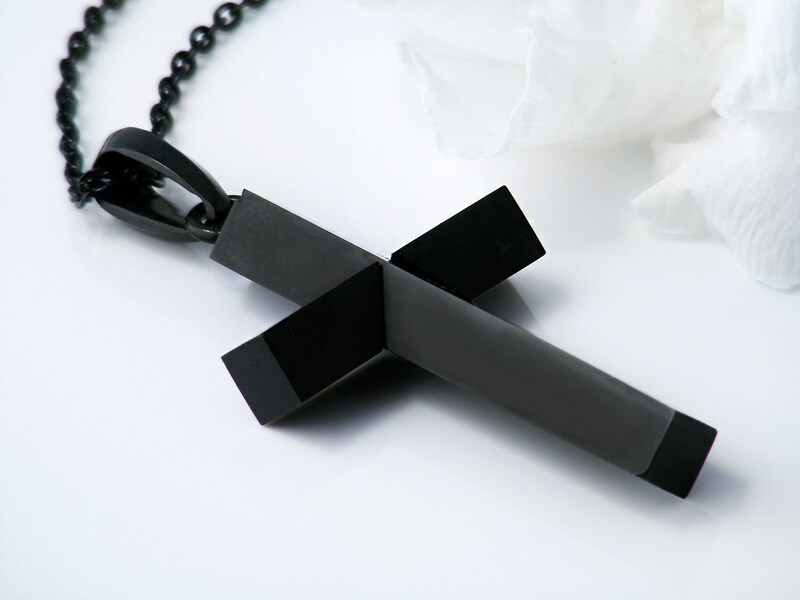 The jet is glossy and lovely and the metal bail loop attachment ring is firmly set into the cross. 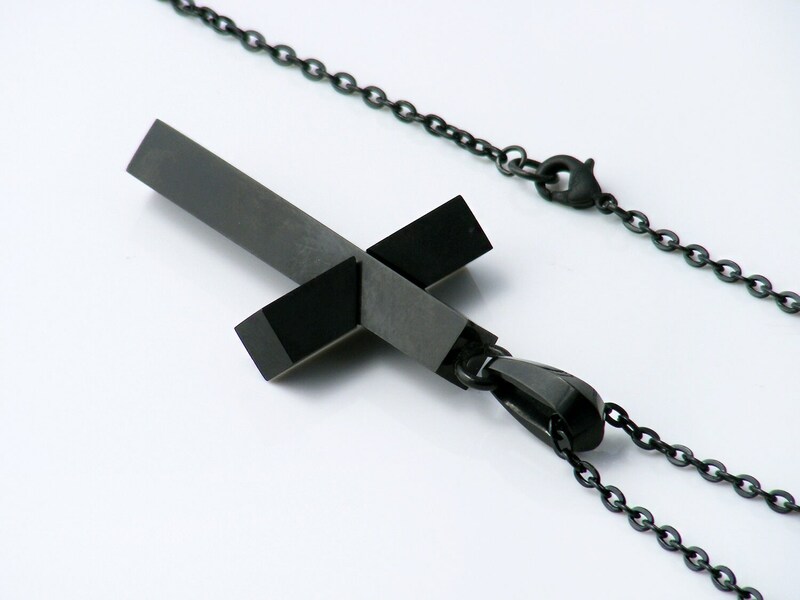 The Chain: The cross is presented on a blackened brass chain 34 inches or 86cm long, an excellent match for the jet. 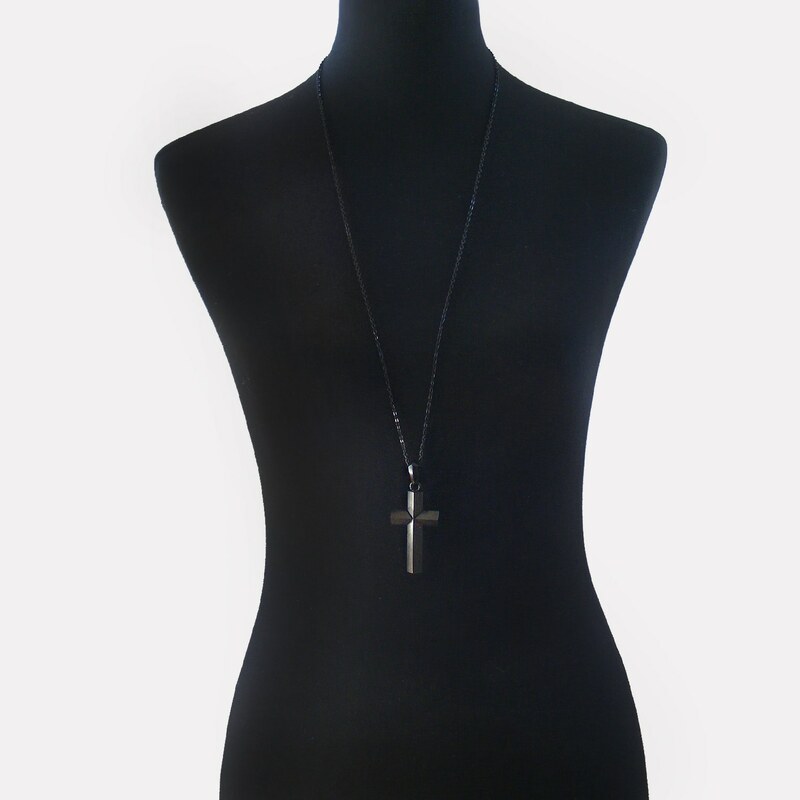 Pendant and chain are shown on a life size torso in photograph #3. 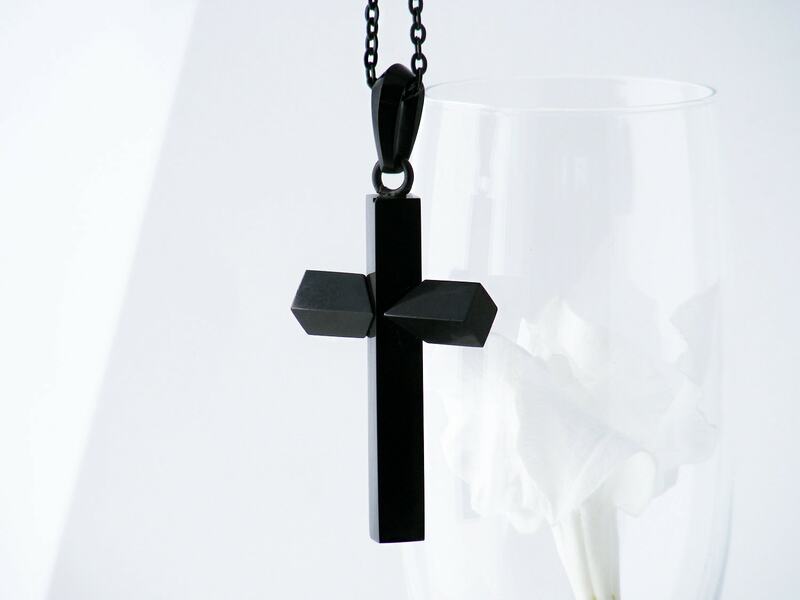 A Madonna sized cross that is dramatic and gorgeous! Very light to wear, it is fabulous worn black on black.